Carpenter, student midwife, Gym Manager, Chief Inspector, former Head Teacher, BBC Producer are just some of the most inspiring women in Wales. Winners of this year’s Womenspire Awards organised by Wales’ leading equality charity Chwarae Teg. 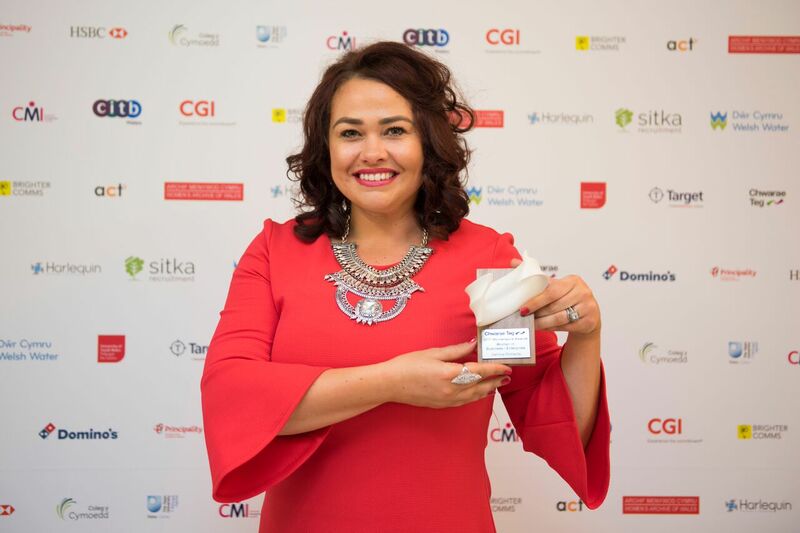 Wales’ most inspiring women have been recognised at the annual Womenspire Awards sponsored by CGI were held at the Wales Millennium Centre last night (21 June). 400 guests attended this prestigious event, which celebrated the personal and professional achievements of women across Wales. The winners came from across all Wales, different ages all with their own inspirational stories. One of the youngest women, Rising Star Award winner Chelbie Jones knows the challenges and perceptions of working in a male industry. She could have been a hairdresser like her mum but Chelbie, from Pembroke is now a carpenter and Bouygues UK and through her role has been promoting women in her industry at talks and career fairs. Winner of Learner of the Year, Student Midwife Sian Preddy had incredible determination to achieve her desired dream of training to be a midwife. Sian Preddy from Bridgend was told by a careers officer that she would not be suitable as a nurse as she was ‘too deaf.’ Several years later through determination she returned to learning to do her CACHE Level 3 Award in Childcare and Education and is now a Student Midwife. 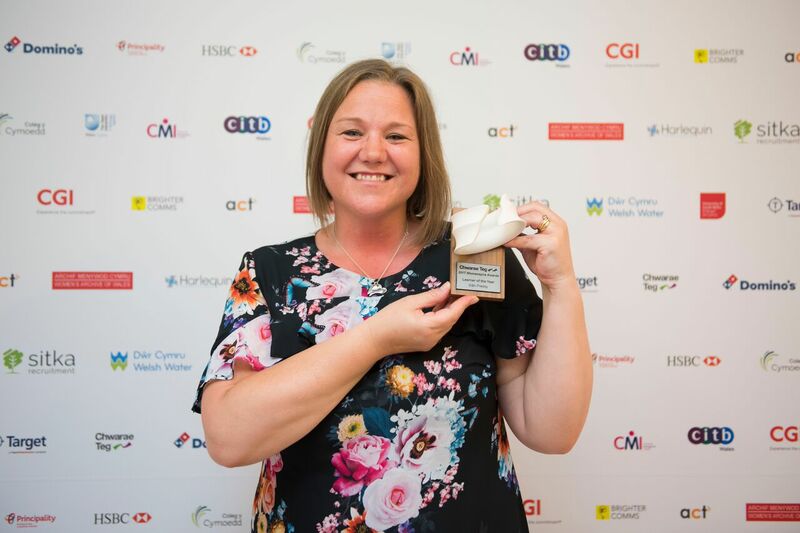 Merthyr Gym Manager, Sarah Draper was the winner of the Game Changer Award, recognised for inspiriting and supporting people in her community. Sarah organises a number of running clubs and events in Merthyr and in 2016 she set up the group, Merthyr Girls Can which enabled women to discover fitness and to improve not only their lives in terms of health and wellbeing but also cascading this knowledge and improving the lives of their friends and families. Project Officer for Cardiff People First. 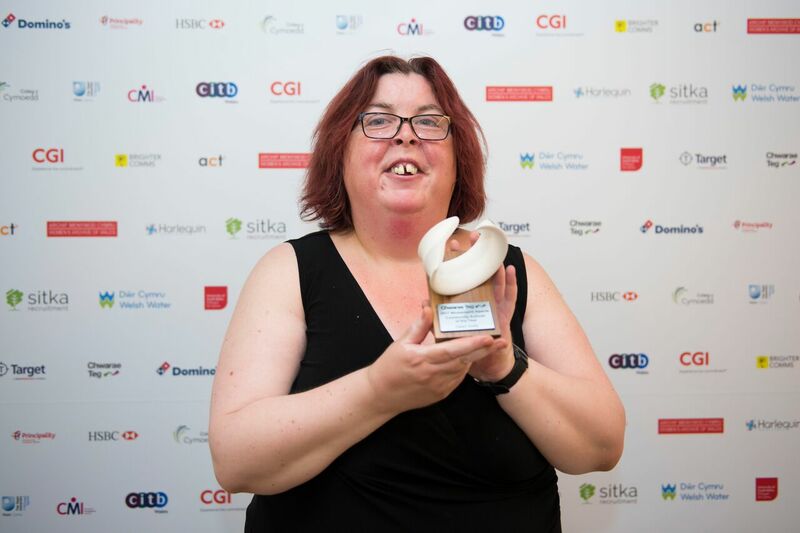 Dawn Gullis won the Community Activist Award and is regarded as an advocate for women with learning difficulties. Her work has potentially saved lives and ensured that women are able to access the right support for their health needs. As well as recognising women in the community the Womenspire Awards recognised the role of women in Business and industry. SA Flyers Director Gemma Richards won Women in Business/Enterprise Award recognised as a powerhouse in industry. Leader of the Year went to Dyfed Powys Police Inspector, Nicola Cater who has worked in the police force for over 20 years. She has made changes at the force to ensure that women no longer have to face the challenges she did and is encouraging the benefits of diversity and harnessing these skills for a better police force. Project Administrator for Menai Science Park, Emily is currently working on an Economic Development project in a rural village on Anglesey Emily Roberts from Bangor, won Women in Rural for her passion and influence across her organisation and the community as an advocate for diversity in rural enterprise and the sciences. 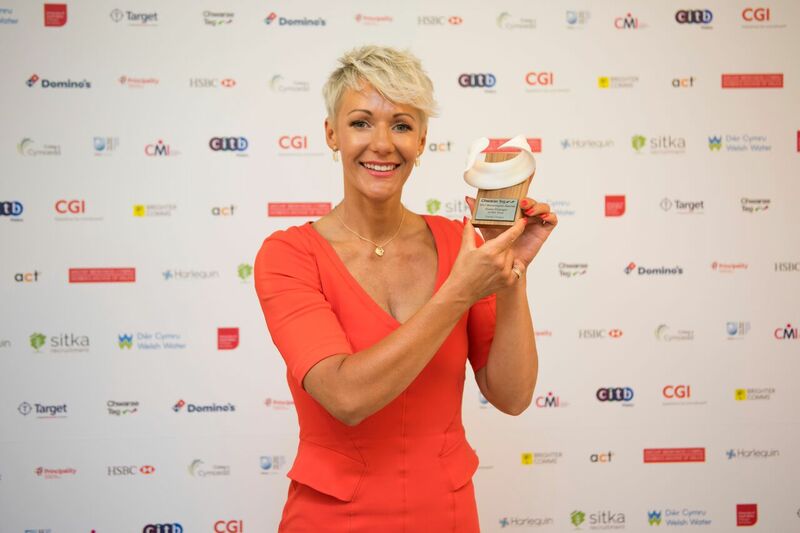 The winner of Women in Education Award went to former head teacher and now Safeguarding, Well-being and Healthy Relationships Consultant, Siriol Burford, who was recognised for her impact on the lives of all children in Wales. By working with schools she is ensuring that children grow up knowing the importance of gender equality in Wales for a brighter future. 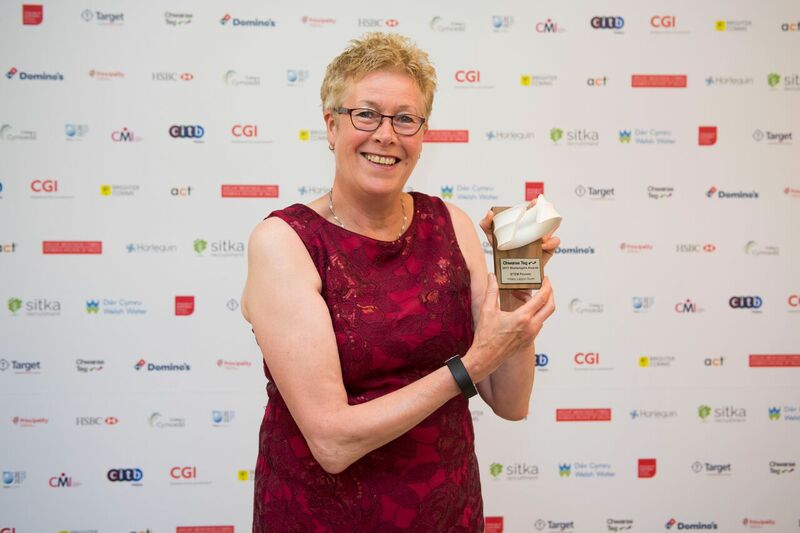 Swansea University Professor, Hilary Lappin Scott won Women in STEM for her impact on gender diversity in STEM in Wales. Passionate about her work, she has changed perceptions and been a figure of influence across generations. Hilary is a microbiologist and a leading woman in UK universities, holding key leadership positions within learned scientific societies. She has worked tirelessly to inspire, support and encourage women in science at all levels locally, nationally and internationally. She was elected as the second female President (in 60 years) of the Society for General Microbiology. 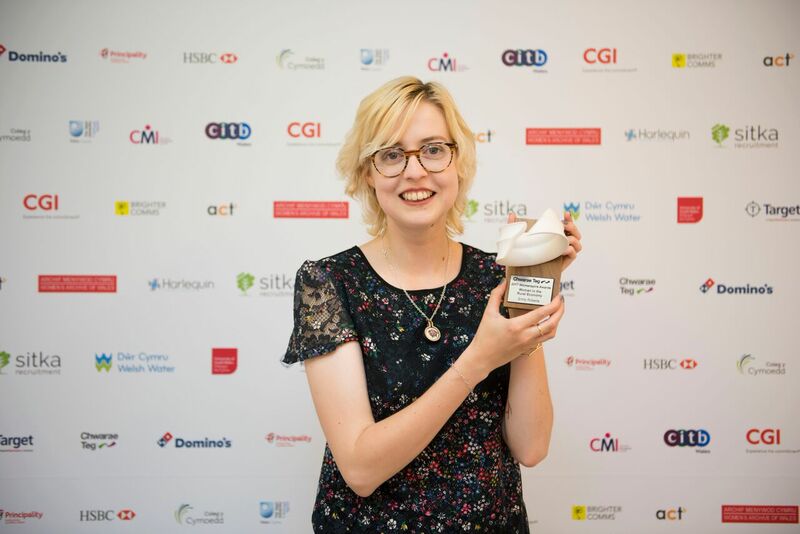 Executive Producer at BBC Wales, Samantha Rosie was awarded Women in Creative Industry after her achievements as a pioneer. She’s worked with Tom Jones, Neil Kinnock and for over a decade made the award winning ‘Hospital’ series for BBC Wales. Her work to ensure that women are supported not just internally but are represented on screen shows her true passion for ensuring women are reaching their full potential. In addition to celebrating the incredible achievements of these inspiring women, Womenspire also celebrating Man of the Year and Employer of the Year, which recognises the contribution that men and employers make to achieving a more gender balanced society in Wales. 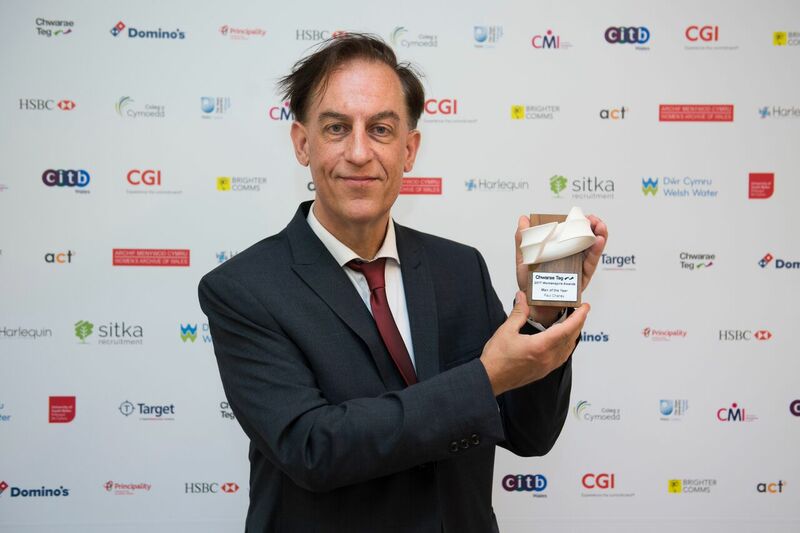 Man of the Year went to Prof Paul Chaney from Cardiff University was recognised as a true advocate for gender equality through his writing and policy influence, which has had an impact on the lives of women in Wales and beyond. 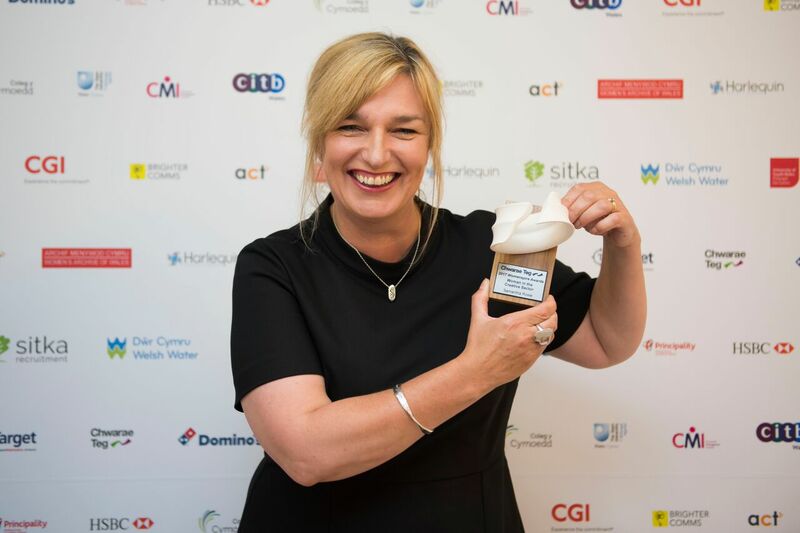 Dwr Cymru Welsh Water won Employer of the Year after taking steps right across the business to ensure that they attract, retain and progress women in the organisation. 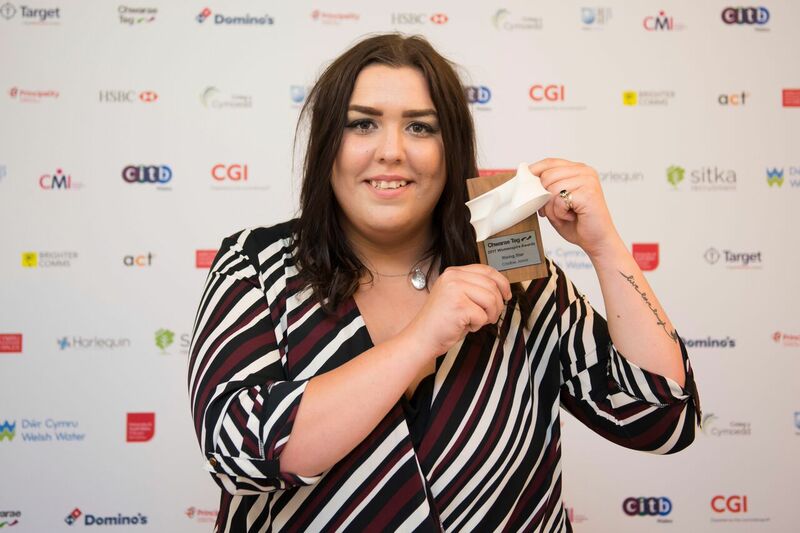 Chelbie is a 19 year old student from Pembrokeshire who after becoming a qualified carpenter made the decision to progress her career in construction as a trainee site manager and undertake a level 4 higher apprenticeship. When Chelbie left school she was unsure of what she wanted to do. At home her family expected her to become a hairdresser, following in the footsteps of her mum, but it wasn’t where Chelbies interests lay. On enrolment day Chelbie turned up at the college with every intention to enrol in Hairdressing but changed her mind when she realised how unhappy she would be if she took that route. After speaking to a careers advisor Chelbie decide to enrol on the carpentry course. During her first year in college Chelbie was the only girl in a cohort of 60 students. After completing her first year Chelbie started an apprenticeship programme with Cyfle and spent 2 years working and training as a carpenter across a range of live building sites. Three years later and Chelbie had achieved her Level 3 and became a qualified carpenter. Chelbie continue with her studies and enrolled onto the Level 4 Higher Apprenticeship in Site Management. Chelbie regular attends careers fairs and gives presentations in schools to young women, talking about her journey and how many opportunities are available for women in construction. On receiving the award Chelbie said: “I was excited to be nominated for this award and would like to thank the people for nominating me. Since working at Bouygues UK as a trainee site manager I have gain more confidence working in construction I now undertake health and safety inspections and also participate in meetings, also I still get the chance to do some carpentry work. being apart of the Bouygues team has in fact boosted my confidence in be able to talk out in meetings and saying my views for example on any implications there may be onsite. Gemma Richards is the Director of SA Flyers, Wales’ leading print, design and distribution company. Over the past six years, under her leadership SA Flyers has grown from covering just four Swansea post-codes to over 540 post code areas across Wales and the South West. Over the past 12 months alone the company has expanded its delivery service into the South West of England now reaching more than 29million leaflets across the UK each year. Six years ago, Gemma was facing redundancy from Swansea-based SA Flyers and at the age of 26 she bought out the company, recognizing the potential for growth and development if properly managed. When she acquired SA Flyers, Gemma had no access to bank funds, developing the company on a gradual basis, funded from her own pocket. Under her direction, the company has grown year on year. 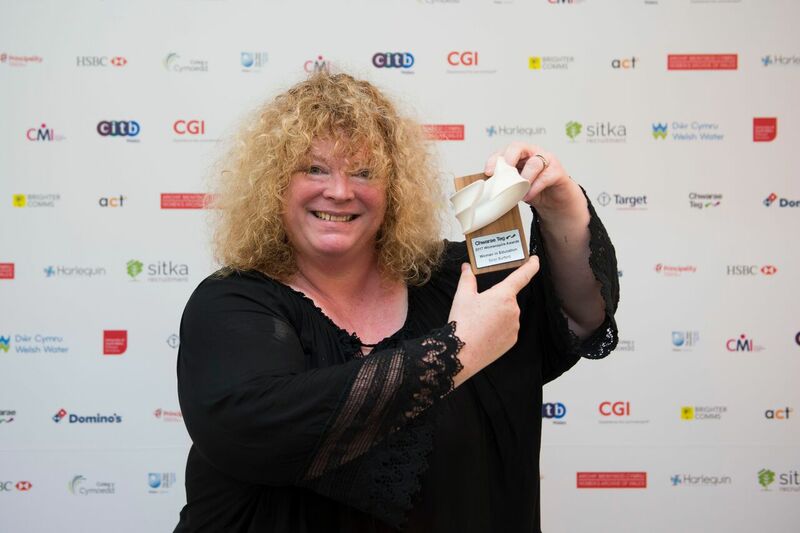 In 2010 she was awarded orders from Tesco and Specsavers and today she works with 150 national retailers and 540 area maps, delivering more than 2.6 million leaflets per month across the region. In addition to SA Flyers, over the past four years, Gemma has invested in two other Swansea-based business: La Vita Hair Salon and Rhapsody Bridal. Her advice to anyone looking to set up in business is to embrace every opportunity that comes along and don’t be afraid to challenge the status quo. In 2015, she was awarded the overall UK award in the Entrepreneurship Category in the prestigious Women of the Future Awards held in London. Gemma was the only female finalist from Wales. 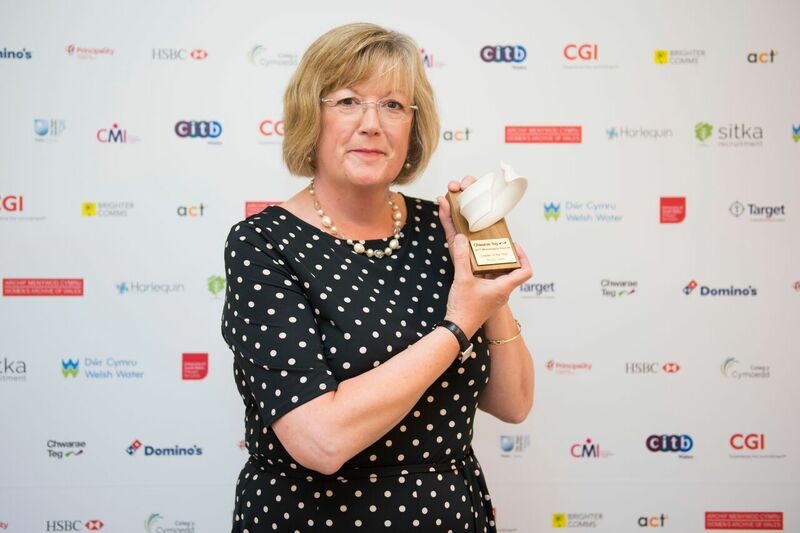 As a result of winning this accolade, Gemma is now the Ambassador for Wales for the Women of the Future organisation. At the age of 16, Sian was sure she wanted a career as a nurse. The school careers adviser told her she was ‘too deaf’, and that was the end of that. She worked in factories local to Bridgend for 6 years, which made no use of the immense skills and personal qualities she possesses. One day whilst still working in the factory, she bumped into her old Teacher of the Deaf. Her former teacher created a role for Sian to come and work with her, supporting learning of deaf children. Sian seized this opportunity to make the most of her talent at connecting with people and inspiring them to learn. She loved it, and took the huge step of returning to learning, doing her CACHE Level 3 Award in Childcare and Education. Returning to education was remarkably difficult. Sian could not hear the lecturers, and they were not deaf aware. She was struggling. But she persevered, knowing this was a career she would really love and had a passion for. Sian went on to do her Foundation Degree in education. She had been studying for only one month, when she had her cochlear implant fitted. The adjustment to a cochlear implant itself is a mountain to climb, never mind the post-surgery recovery. But still she persevered. Her academic supervisor soon realized Sian’s enthusiasm was infectious, so had her giving classes on deaf awareness to other students. Sian is influencing inclusion for her peers, patients and lecturers. During her long career, as teacher and deputy head teacher, and now as advisor to a range of organisations, educational prevention programmes and educational resources, Siriol has ensured that students have been both supported and empowered. For years, she has dedicated her career to tirelessly ensure that young people are at the heart of working towards a gender fair society. Siriol undertook her first gender project in 2006 with the charity Womankind, looking at gender equality in school. Since then she has worked with a number of schools and projects. She is passionate about peer led education and leadership and started this journey at Ysgol Plasmawr which continues to sustain this important initiative several years after going to Michaelston and Glyn Derw. As Deputy Headteacher in Michaelston and Glyn Derw Siriol established a new girl activist group called The Unbeatables. The 30 girls involved worked with Welsh Government, the NSPCC, Safer Lives and the SARC in Cardiff to help with the white paper consultation about Violence against Women and Domestic Abuse. Siriol also started another gender equalities activist group in her next school in the Rhondda Valleys. Working now with girls and boys, this group explored a range of gender equalities issues, particularly in relation to gender-based and sexual bullying and harassment in schools, online and in their communities. From her direct work in schools, Siriol then decided to follow her dreams to create wellbeing strategies for local authorities, the police, and third sector organisations, promoting gender equalities at a more strategic level, including working closely with local authorities in RCT to establish the Rights Respecting Schools Award in all secondary schools in the area. She is currently auditing schools in the area to ensure that gender equality for healthy relationships is embedded in a whole school approach. Nicky started her Police career in 1990 as a constable with North Wales Police. In 2004, Nicky was a founder member of North Wales Police’s first Women’s Association and went on to chair the association for several years. The association aims included women achieving their full potential within the Force. She rose through the ranks to Temporary Chief Inspector before transferring ‘home’ as Inspector to Dyfed-Powys Police in 2006. On commencing her role with Dyfed-Powys, Nicky recognised a similar gap in the support framework for female officers and Staff. She was a founder member of first female support network for Dyfed-Powys Police, established in 2009, going on to chair the network for several years. The network has Police Staff and Police Officer representatives from all four Policing divisions and Headquarters departments, with the full support of the Chief Officer Group. The focus of the Network was initially uniform & equipment and support for those on or returning from maternity leave. The work of the Network has since developed significantly, providing Force-wide workshops and innovative events on topics such as the menopause and confidence. Nicky is a long standing committee member of the British Association of Women in Policing (BAWP), representing the Wales region. In 2015 Nicky took up the Co-ordinator role for the quarterly BAWP printed and online publication, ‘Grapevine’. Within the BAWP role, Nicky has access to current National best practise, research and events. Nicky has been proactive in assisting Dyfed-Powys Police remain ahead of the curve by bringing that knowledge back into Force and assisting the Network in devising and creating innovative and creative events to the benefit of women within the organisation. She has been instrumental in highlighting much of the great work being done by the Network and women across Dyfed-Powys to a National audience. Nicky is a uniform Chief Inspector and is currently responsible for the Dyfed-Powys Police Communications Centre in Carmarthen. Nicky is married with a teenage daughter. Dwr Cymru/ Welsh Water we are constantly looking at ways we can support all colleagues with their careers. They are in the process of scheduling ”unconscious bias training” for managers to ensure there is a consistent and fair approach in recruitment across the business. In 2015 Welsh Water was recognised in the UK-wide CBI publication alongside big UK brands such as PwC, Aviva and Veolia. Welsh Water recently celebrated International Women’s Day with panel discussions and recognised the importance of a gender-inclusive workplace. They will continue to recognise roles in the workplace with International Women in Engineering day in June. They will be inviting colleagues to hear an inspirational woman speaker while providing a networking opportunity for colleagues who work with each other remotely but don’t get the opportunity to meet. “If we won the award, it would represent a huge vote of confidence in the hard work that’s going on across the company to make it an inclusive and welcoming environment for everyone to work – especially for women. Project Officer, Dawn has worked on a number of projects including the All Wales Hate Crime Project and at Women’s Equality Network Wales. She is passionate about her community and acts as a powerful role model for other women with learning disabilities. One of the most powerful ways that Dawn uses her influence is to speak very openly and honestly about the challenging experiences she has had in her life, including her experiences of abuse and mate crime. Dawn is not afraid to challenge organisations and decision makers on behalf of her community. Dawn uses her influence to creative positive attitude to life and work. Professor Hilary Lappin-Scott is a microbiologist and a leading woman in UK universities, holding key leadership positions within learned scientific societies. Professor Lappin-Scott has worked tirelessly to inspire, support and encourage women in science at all levels locally, nationally and internationally. She was elected as the second female President (in 60 years) of the Society for General Microbiology. Hilary was also the first female President of the International Society for Microbial Ecology. In 2016 Hilary began her term as the Vice President of the Federation of European Microbiology Societies. She is currently Pro-Vice Chancellor for Innovation, Research and Strategic Development at Swansea University. Prof Lappin-Scott has been a research scientist for 30 years, training 50 PhD students and publishing 200+ scientific papers. Her contributions to science are widely recognized, e.g. being personally awarded the prestigious Schlumberger Schtichting Award. Prof Lappin-Scott now works to facilitate the science and careers of others. Hilary co-founded the ISME Journal, the leading learned journal on environmental microbiology globally. With few role models, Prof Lappin-Scott has achieved extraordinarily senior scientific roles in the UK and globally. Hilary’s story is inspirational and has been achieved through positive attitude, hard work, and unselfish development of opportunities for women in STEM. This has included creating business opportunities to help fund returners to science, encouragement of international students and science student ambassadors at international conference sessions organized and delivered by her. Hilary uses her senior roles as an exemplar for aspiring women, whilst facilitating their voice. Australian born Samantha is marking her 25 year of employment with the BBC this year. She was one of the first ever female self-shooting camera operators and has largely specialised in the documentary field. She’s made hundreds of hours of important social content reflecting contemporary Welsh life back to the audience. She’s has made films about Tom Jones, and worked with Neil Kinnock as well as making documentaries on childbirth and midwifery and life inside a state run secondary school on the Gurnos Estate in Merthyr Tydfil. Samantha has also focused on capturing the working life of female medical consultants and surgeons bringing them to the foreground for over a decade in the award winning ‘Hospital’ series for BBC Wales. More recently she has worked as a Series Producer and created the ‘24/7’ strand – working with South Wales Police, the largest Vets practice in South Wales and the whole town of Tenby (Vets 24/7, Police 24/7, Hospital 24/7, Hotel 24/7, Tenby 24/7). Samantha has also Series Produced the BBC One Daytime Network series focusing on the work of Serious Organised Crime Detectives in the 15 part series – ‘The Wanted’, which has since been sold worldwide. She was recently appointed to look after the Welsh output for BBC Studios and is now an Executive Producer. Sarah Draper has achieved incredible things in terms of her own sorting, endurance achievements and successfully linked them to fundraising tens of thousands of pounds for charity such as Velindre. After giving birth to her youngest son, Sarah gained a place in the London Marathon. That changed her life in terms of fitness. Despite being a smoker, unfit and inexperienced she succeeded in completing the first of her 11 marathons to date. She has completed Ironman Wales and this year takes on IronMan Italy. She has trekked the Sahara and the Arctic and has plans to trek the South American Jungle and climb Mount Eiger. In 2016, she was pivotal in establishing a fitness opportunity for a group in women called Merthyr Girls Can which enabled women to discover fitness and to improve not only their lives in terms of health and wellbeing but also cascading this knowledge and improving the lives of their friends and families. The success of Merthyr Girls Can was phenomenal, going on to achieve “the impossible” by taking part in various events such as triathlons, half & full marathons and encouraging their family and friends to participate also. Sarah Draper launched and organises the Merthyr Running Club, Triathlon Club and Children’s Running Club as well as organising the Merthyr Triathlon and Merthyr Half Marathon. She has made links with schools in order to inspire and develop talent in sport from a young age. On receiving the award Sarah said: “Winning this award would mean the world as it would be recognition of all the hard work I put. I’m someone that never reflects or gives myself a pat on the back after achieving something as always on to the next task. To win would Game Changer of the Year would make me feel extremely proud. Project Administrator for Menai Science Park, Emily is currently working on an Economic Development project in a rural village on Anglesey. She has been crucial in making sure that everyone on the project realises the importance of encouraging more women into construction, science and technology, and made sure that this was a key part of our ethos as a company. From a strategic level Emily has influenced equality, organizing events that will inspire and serve to bring more women into the key industries of construction and science. She has also taken these events to local schools, to promote STEM from the grass roots. On receiving the award Emily said: As a project administrator, you don’t always get to follow through and get the credit for your own ideas. So to be acknowledged in this way really means a lot, and I intend to continue with my work to promote and encourage equality. Paul Chaney is Professor of Politics and Policy at Cardiff University. He is Co-Director of Wales Institute of Social, Economic Research and Data (WISERD) – an Economic and Social Research Council national research centre. He has authored/ contributed to ten books and written over sixty papers in leading peer-reviewed journals. His books include Women, Politics and Constitutional Change (Cardiff: University of Wales Press, 2007; co-authored), Equality and Public Policy (Cardiff: University of Wales Press, 2011). His research and teaching interests include: equality and human rights, territorial politics, public policy-making, and civil society. He has been a member of a number of public advisory bodies, including the UK government Steering Group on the Equality and Human Rights Commission. Chwarae Teg is a charity founded in 1992. Mission 1: Working with women to broaden horizons and build confidence and skills. Mission 2: Working with employers to create modern workplaces that are successful by harnessing everyone’s contribution. Mission 3: Working with influencers, educators and decision makers to build a society that values, supports and benefits women and men equally. Over 300 people were nominated for the Womenspire Awards 2017. There were 37 finalists over 12 categories. Over 400 guests attended the event at Wales Millennium Centre.